Salmon stream up coastal rivers to lay their eggs. Orca pods travel up and down the Salish Sea. Ducks stop in coastal estuaries to refuel for the long journey ahead. These annual cycles sustain life in British Columbia. But the same coastal communities that rely on the Pacific Coast’s natural beauty and abundance are putting it at risk. 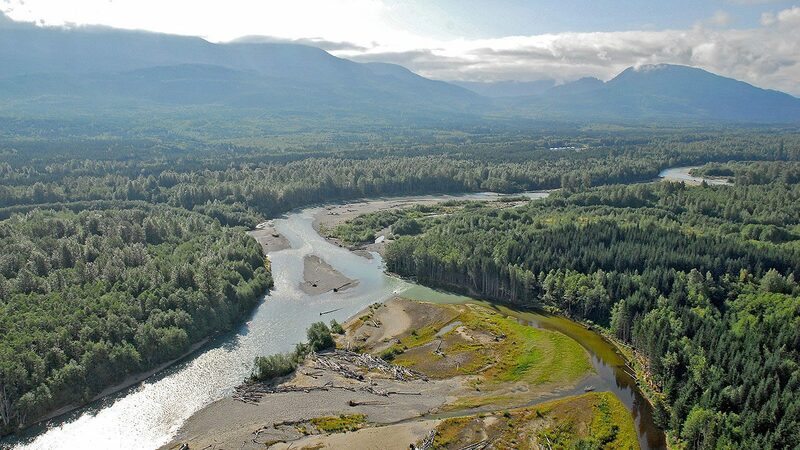 ­­The Pacific Birds Habitat Joint Venture conservation initiative covers 220,000 square kilometres of costal British Columbia, along the east coast of Vancouver Island and in the Lower Mainland. Eight million waterfowl pass through the region during migration or spend the winter in its wetlands. Coastal estuaries provide crucial stopover habitat for migratory waterfowl, where they rest and refuel. Farmers’ fields in the lower mainland offer important wintering grounds for birds that do not leave for warmer waters. Both of these ecosystems are in dire straits. Urban expansion and agricultural changes are devouring critical habitat. Eighty per cent of wetlands in the region have been altered or destroyed. At current rates of loss, waterfowl will find no usable agricultural land in the Fraser River Delta in 25 years. Coastal wetlands provide so much more than waterfowl habitat. British Columbians use them for recreation and they buffer our communities from the impacts of climate change. British Columbia’s coastal wetlands and agricultural fields are like rest stops for the 33 waterfowl species that travel their migration highway — the Pacific Flyway — each year. Estuaries along the Pacific Coast are hotbeds of activity in migration season. Ducks nibble on the insects, fish and amphibians. Wintering geese eat the wheat and corn scraps left after crops are harvested. Ducks aren’t the only wildlife who need wetlands on the Pacific Coast. Salmon, trout, sturgeon, herring and many other fish live in or pass through these ecosystems. Anglers, in turn, rely on wetlands to provide healthy and abundant catches. 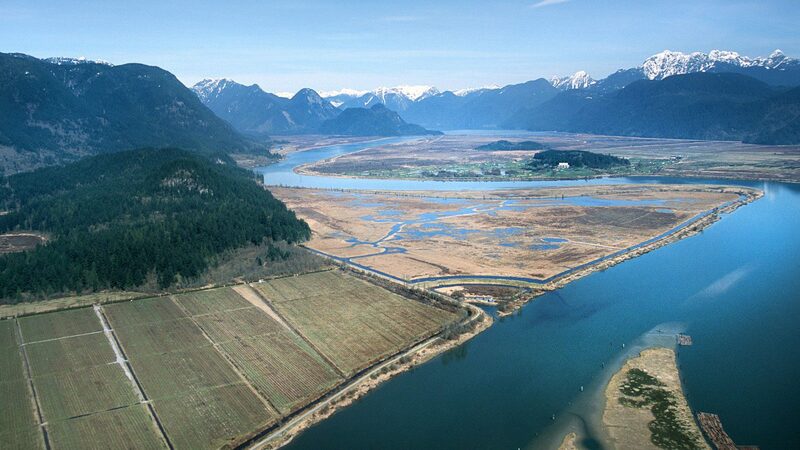 Estuaries are essential nurseries for salmon. They provide abundant food and refuge from predators. They are also important staging areas for salmon transitioning from freshwater to saltwater. British Columbians are known to love the outdoors. Coastal communities treasure the wetlands that help them escape from city life. All along the Pacific Coast, you’re never far from a wetland. Whether it’s canoeing through Widgeon Slough or casting a line into the Courtenay Estuary, wetlands are a vital part of British Columbians’ lives. Coastal wetlands act like giant sponges, buffering communities from storm surges and drought. British Columbians are feeling the effects of climate change. Communities are more often swamped by rising seas or parched by record drought. Wetlands provide protection from both by absorbing water. Eighty per cent of coastal wetlands have already been altered or destroyed. Low-lying areas of British Columbia are scarce in the face of a rising population. Communities along the Pacific Coast were built on the natural beauty and abundance of the region. But, with so many people drawn to live here, wetlands are feeling the squeeze. The need to conserve waterfowl habitat on the Pacific Coast has never been more urgent. Estuaries need protection. Forage crops must be maintained. If we lose our vital coastal wetlands, we can never get them back. We aim to conserve 21,000 acres of wetlands and waterfowl-friendly agricultural lands on the Pacific Coast. Our goal is to conserve 21,000 acres in the pacific coast region by working closely with governments, other non-profits organizations, industry and private landowners. These partnerships help us protect, secure and restore wetlands. We support Crown Designation of important wetlands, and have led the mapping of 442 coastal estuaries. We help farmers establish waterfowl-friendly crops and improve farm management practices. 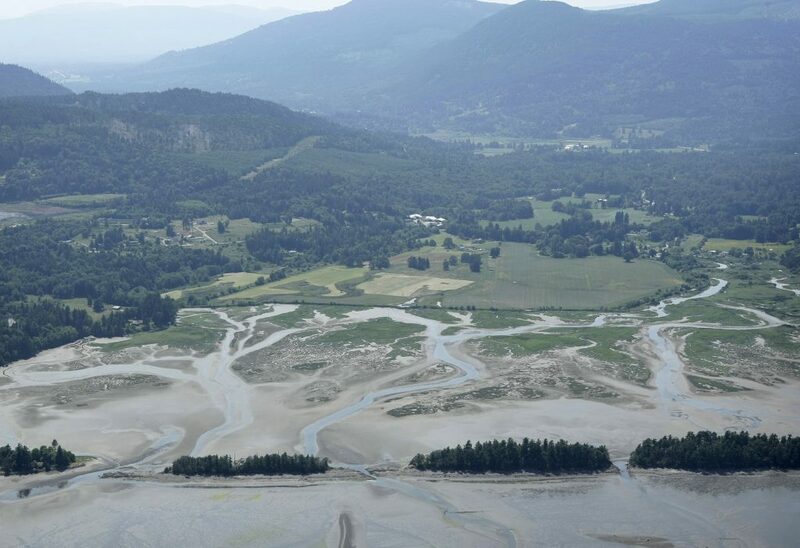 We’re also leading the removal of invasive Spartina to improve conditions in BC estuaries.